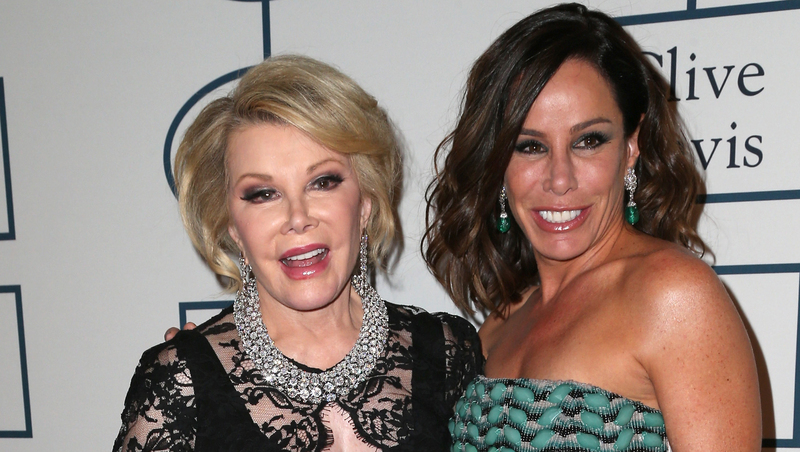 Melissa Rivers isn't too pleased with how Kathy Griffin quit "Fashion Police" so quickly after replacing her late mother, Joan Rivers. "My biggest complaint was the feeling that she kind of sh** all over my mother's legacy in her statement on leaving," Joan's daughter told Hoda Kotb Tuesday in front of a packed auditorium in New York City's 92nd Street Y. "And I know that was not an intentional reading of it, but that's how I felt. ...By calling the comedy and the style of it old fashioned. It was like, I understand what you were doing, you're trying to save yourself, but don't crap all over my mother to do it." Griffin left "Fashion Police" after just seven episodes, saying that her "style does not fit with the creative direction" of the program. Upon leaving, she was quick to point out that she didn't think Fashion Policewas part of Joan's legacy. "I probably shouldn't have taken the gig," Griffin admitted on Howard Stern's SiriusXM radio show. "What Joan did was so much bigger than that -- The Tonight Show and writing for The Ed Sullivan Show and surviving all the ups and downs." "As a professional that was her choice, that's what she did -- no harm no foul, moving on," Rivers continued, adding that she never thought the 54-year-old comedian was a good choice to replace her mother. "It wasn't a match, on a lot of levels." Rivers, an executive producer and creator of Fashion Police, also commented on Giuliana Rancic's controversial statements about actress Zendaya's dreadlocks at this year's Oscars. "I feel like she smells like patchouli oil and weed," Rancic said, sparking an uproar online and between her and her co-host Kelly Osbourne, who quit "Fashion Police" shortly after. "It was a very, very difficult time. I had a lot of conversations with everybody involved," Rivers told Kotb. "It really shows that we were a family. We went back too fast, and when the matriarch died the sisters started fighting." After Griffin and Osbourne's departure, the show went on a hiatus. "It was extremely frustrating as I had to keep my eye on the franchise and the legacy of it and not get involved in the personal," Rivers said of the shutdown. "I felt like 'Fashion Police' was this little jewel, and it was the last piece I had of my mother and I working together. I felt like all these people were so out of control including the one who made the allegations of racism." Rivers said that if her mother was still alive, this "never would have happened." Joan's 47-year-old daughter is currently promoting her new book, "The Book of Joan: Tales of Mirth, Mischief and Manipulation."